ok, let’s say the truth! A friend of mine saw this mug and she found it amazing. She let me know it…you know, I think it’s woman’s language….so, where can I buy it in London? I live here, in the City, but I didn’t find it in internet. 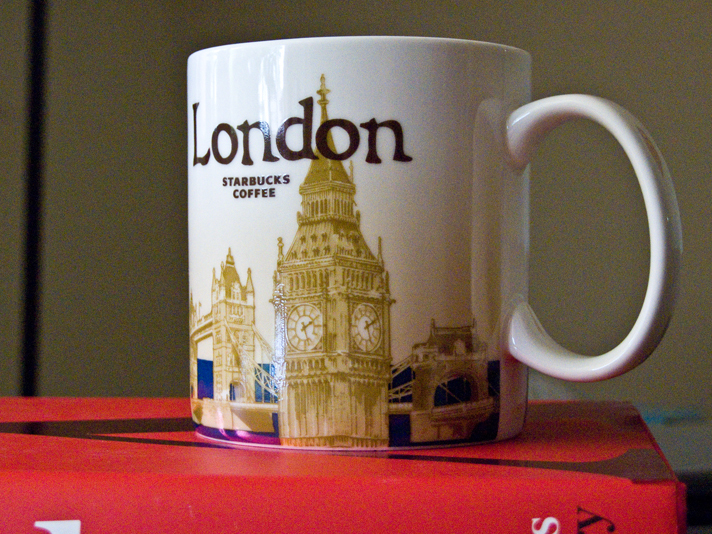 You can find this mug in a Starbucks shop. They also have a nice England mug. The designs change, so I hope you find this or even better mug.